In the United States, June 14th is Flag Day. This day was created to commemorate the adoption of the United States flag, which happened on June 14, 1777. 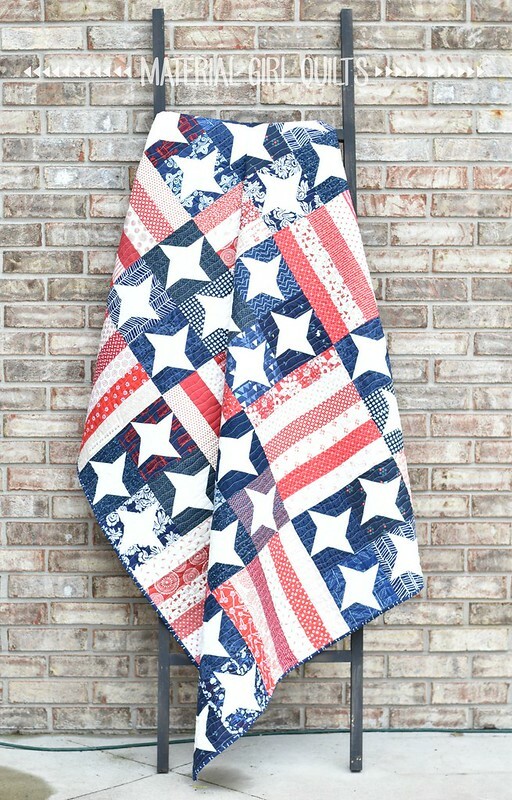 This year I'm celebrating with a finished patriotic quilt! 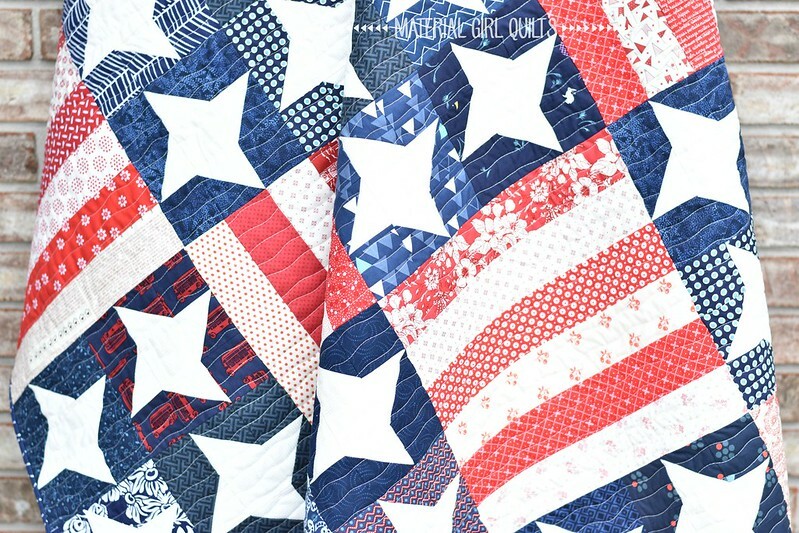 I'm so happy to have this quilt done in time to celebrate the official holiday and know that I'm also going to love using it in a couple of weeks for the Fourth of July. 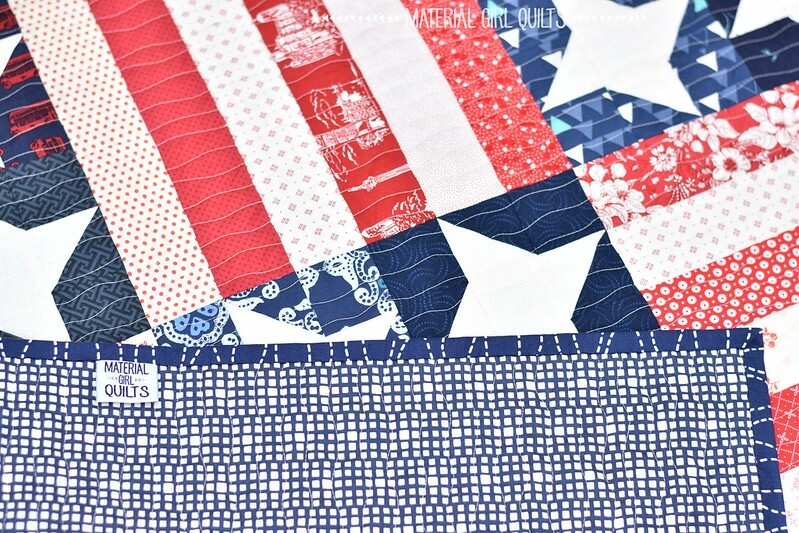 I opted for blue and white backing and binding and am hoping (praying) that when I wash it up none of these gorgeous reds and blues fade onto the whites. I'll be using plenty of color catchers, that's for sure! 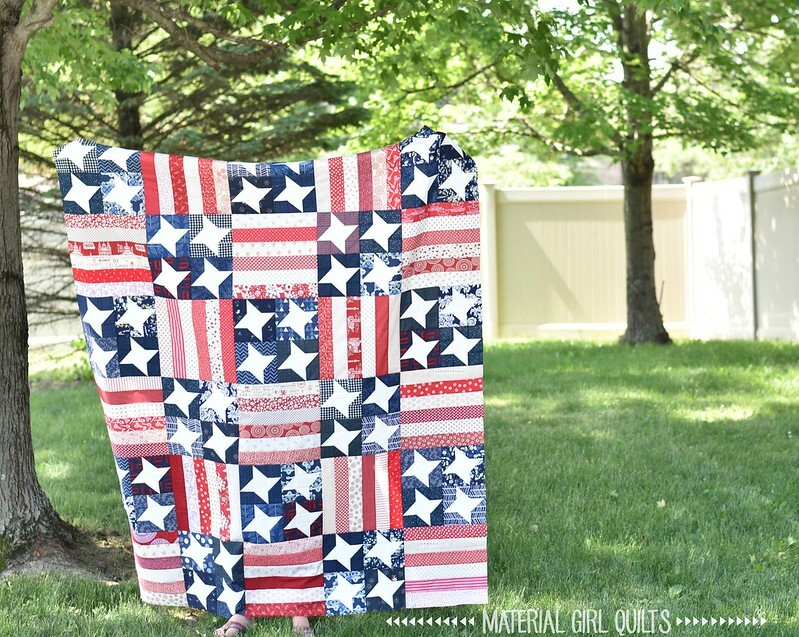 Since this quilt has been finished, it's been pretty rainy and gross, so photos were hard to come by. I had to snag these in a few moments of overcast skies while I was at home alone. 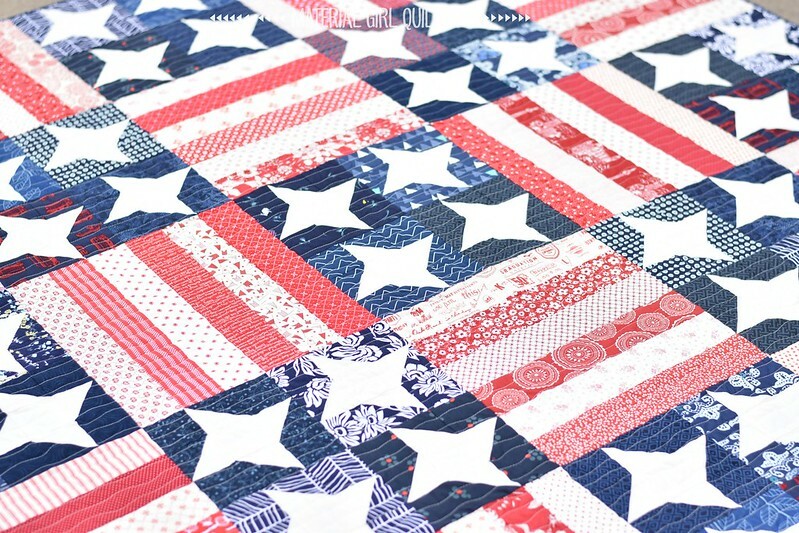 As a result, the only photo I have of the full quilt is the one above when I completed the top a few weeks ago. 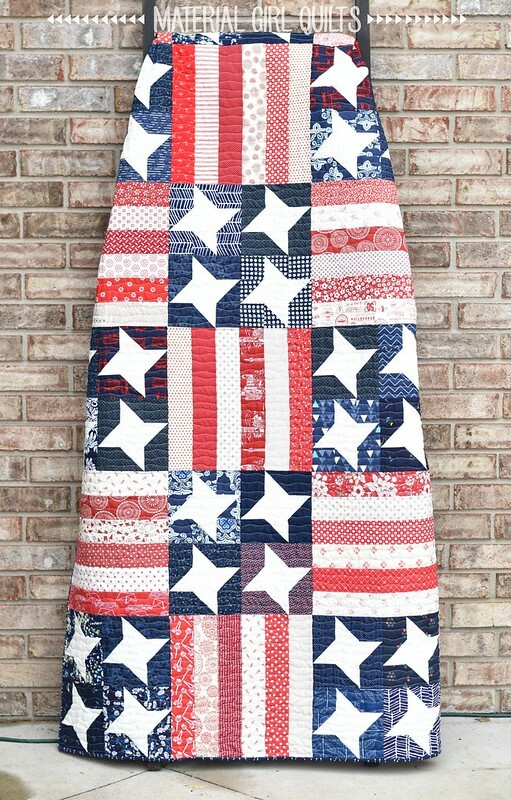 Do you love patriotic quilts as much as I do? I can't believe this is the first one I've made for myself.